Thanksgiving isn't complete without pie! 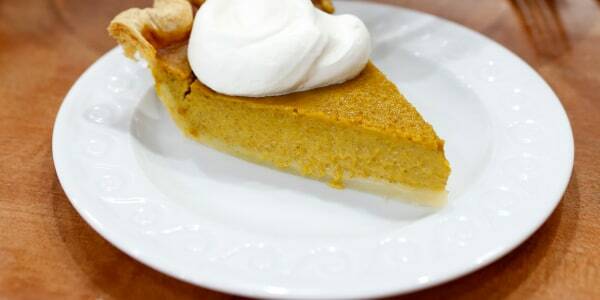 Wow holiday guests with these delicious Thanksgiving pie and tart recipes. In the homestretch of Thanksgiving meal prep, the side dishes are likely set and the perfect turkey recipe has already been picked out. But what about ending the night with something sweet? 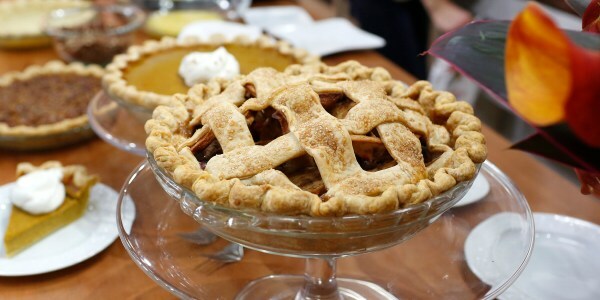 It's pretty much a fact that Thanksgiving dinner just isn't complete without pie! 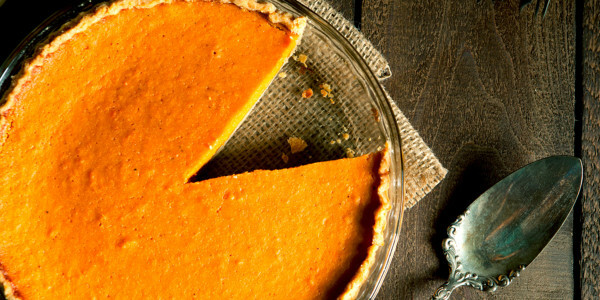 From a classic pumpkin pie to an over-the-top brownie-bottom peanut butter pie, here are 10 amazing Thanksgiving pie recipes to try. Courtesy of Broadway Books, an imprint of Penguin Random House, LLC. Musician Patti LaBelle's sweet potato pie from Walmart shot to viral fame in 2015, thanks to YouTuber James Wright Chanel's side-splitting (and deeply powerful) singing review. But the Godmother of Soul actually learned her original recipe from her best friend and hairstylist, Norma Gordon Harris. This recipe makes a lot of filling, so the pie will be super thick — and it really lets the flavor of the sweet potatoes shine. Classic pecan pie is always a welcomed dessert on Thanksgiving, but this year, consider giving it a twist. 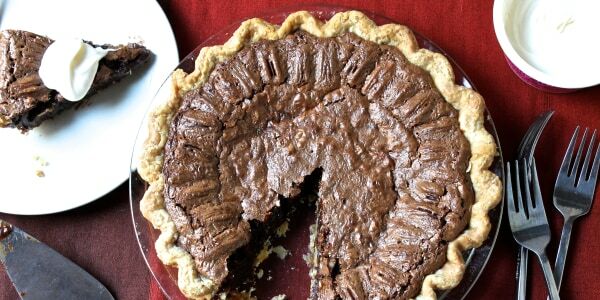 A splash of bourbon and a hint of molasses deepen the nutty flavor of this luscious pecan pie. Pop it in the oven a few minutes before serving, then let guests top their slices with fresh whipped cream. Thanksgiving isn't complete without this rich and creamy treat — it's truly the champion of Thanksgiving desserts. 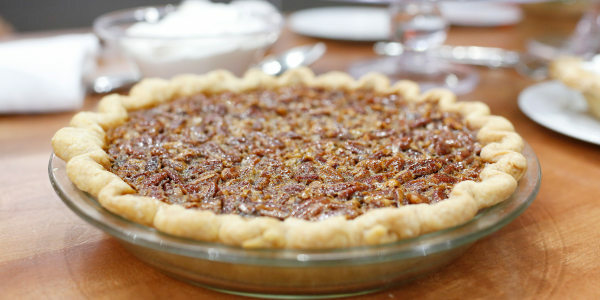 Chef Curtis Stone uses an easy pie dough recipe that requires only five ingredients, but no one needs to know if a store-bought pie crust has been used instead. "It's got the same creamy texture as pumpkin pie and the same simple stir-and-bake assembly as its more famous friend," cookbook author Casey Barber told TODAY Food. "And it's a little more versatile, too! 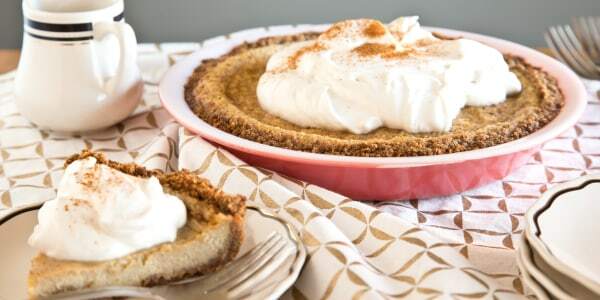 With its gingersnap cookie crust and billowy clouds of sweetened whipped cream, this pie works just as well for Thanksgiving as it does for any wintry holiday feast." Juicy fresh cranberries add a delightful tang to a classic apple pie in this delicious dessert. Making a lattice on top of the pie isn't as tricky as it may seem. 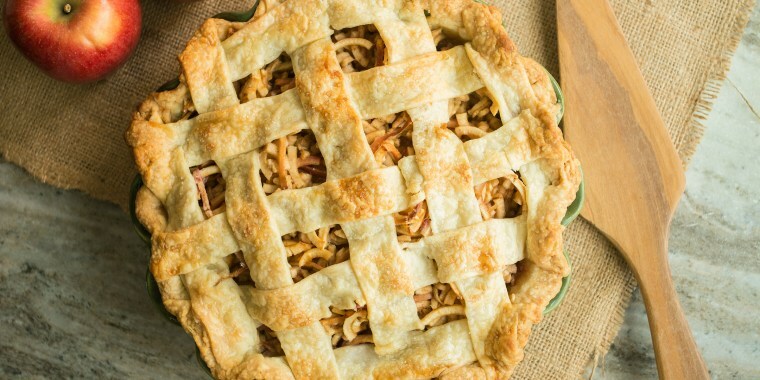 For a cheater's lattice, lay half of the strips across the filling, spacing them evenly over the pie. Lay the remaining strips perpendicular to the first strips, spacing them evenly apart. Once the pie is baked, no one will notice that the strips weren't actually woven together. Chopped Oreos and microwave-melted chocolate come together with just a few other ingredients to form the crust of this over-the-top pie. 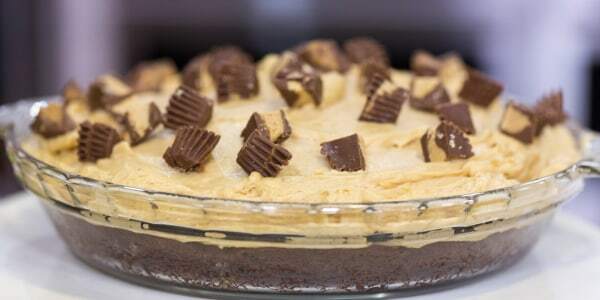 To make the no-bake filling, simply combine peanut butter, cream cheese, powdered sugar and whipped cream. A sprinkling of chopped peanut butter cups is the perfect finishing touch. Pumpkin who? 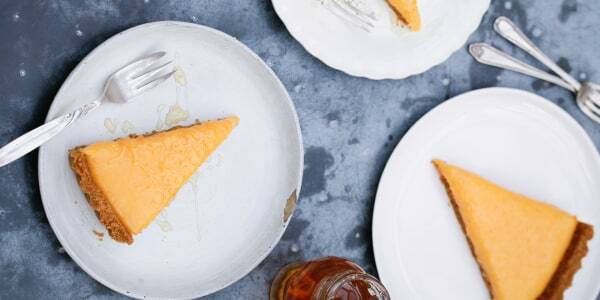 Guests may forget all about the classic after a taste of this ultra-rich tart from celebrity chef Nigella Lawson. The British TV star doesn't believe that homemade crusts are the only way to go. Here, the base is made by simply combining crushed gingersnap cookies with melted butter. 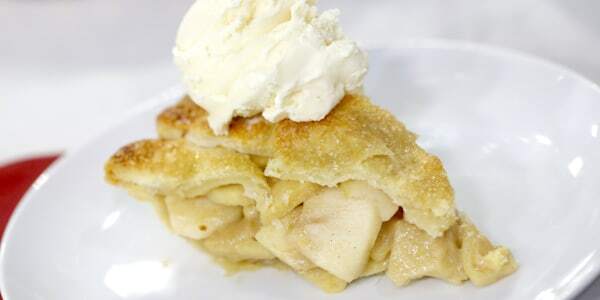 People may look at this dessert and think it's an ordinary apple pie, but it's extra special thanks to the addition of just one ingredient. By adding heavy cream to a traditional apple pie filling, this dessert becomes a gloriously gooey caramel apple pie. Die-hard pecan pie purists may have an issue with this sweet, mashup recipe. On the other hand, anyone who loves brownies and classic pecan pie will fall head over heels for this delightfully nutty and sweet dessert. Bonus pie! Making a homemade tart or pie crust is incredibly easy with chef Curtis Stone's five-ingredient recipe. "The secret to homemade pastry dough is to avoid blitzing your butter to smithereens in the food processor," Stone told TODAY Food. "Leaving pea-size pieces of butter in the dough is key, because they will melt in the oven and release water, which will become steam. The steam helps to puff up the dough and contributes to that melt-in-your-mouth texture." Now, go forth and bake!